In this article the auther takes a birds-eye view of some of the central problems of the Turkish agriculture, in particular those which have to do with population pressure on land and water resources, the insufficient size and the continuing fragmentation of the family farms which is directly linked to high rates of rural population growth and which is also a major factor contributing to rural to urban migration and some of the related ecological and environmental issues such as deforestration, and crosion. AÃ§ma, B., (1991), GeliÃ¾miÃ¾ Ãlkelerin AzgeliÃ¾miÃ¾ BÃ¶lgelerini Geli1Ã½Ã½tirmeyi AmaÃ§layan Politikolon n incelenmesi ve GAP ÃnÃ½eÃ°i, Ãstanbul Ticaret OdasÃ½ YayÃ½nÃ½, Ãstanbul. Akdcr, IL KasnakoÃ°lu, H., (1992), Turkey',\' Agriculture in the Global Context, Friedrich Ebcrt VakfÃ½ YayÃ½nÃ½, Ankara. Alexandratos, N. (1995), World Agriculture: Tavards 2010, FAO yayÃ½nÃ½; John Wiley&Sons, New York. Bakhit, A.H., ( 1989), "Towards a Socioccntric Approah to Dcscrtification," RappenhÃ¶ner, (der.) iÃ§inde, s. I 71-178. Baray A.Ã., Erfun T. (1990), 1989 SonrasÃ½ DÃ¶nemde TÃ¼rkiye'nin Tanmsal Yaprsmda Ortaya Ãrkan DeÃ°iÃ¾mele. Fricdrich Ebcrt VakfÃ½ YayÃ½nÃ½, Ãstanbul. Christ, H. (1989), "Asscssing Soil Erosion Ratcs on Rainfcd Agriculturc," RappenlÃ½Ã¶ner (der.) iÃ§inde, s. 107-117. DIE (I 980-95) The Sununay of Agricultural Statistics, (YÃ½llÃ½k), DIE, Ankara. Dinler Z., (I 993), Tan m Ekonomisi, 3. BaskÃ½, Ekin Ki tabevi YayÃ½nlarÃ½, Bursa. Doorenbos, J., (1993), Tlze Green Fields of Tension, An Exploration of Rural Land Use System in Turkey and the NetlÃ½erlands, Ph. D. Tezi, (+298 maddelik geniÃ¾ bir kaynakÃ§a). DPT (1978), TÃ¼rkiye Tannunda Yaprsal DeÃ°iÃ¾me, Teknoloji ve Toprak BÃ¶liimii1<~ii, YayÃ½n No. : 1636, Ankara. EÃ°er, H., (1989), "Planing for Resourcc Conservation and Dcsertification Control in rainfcd Agriculture," RappelÃ½Ã¶ner (cd.) iÃ§inde, s. I 00-106. EÃ°er, H. (1989). "Runoff Agriculture and Dcsertitication (Control) in Mountainous Regions," RappelÃ½Ã¶ner (der.) iÃ§inde, s. 40-50. FAO, (1994 ), So il CmÃ½servation and ManagnÃ½enet in Devetoping CoÃ½uÃ½tries, Rom e.
FAO, (1995), The State of Food and Agriculture, Romc. GlirbÃ¼z, M. (1993), TÃ¼rkiye Tartml 1993: Yap1, GeliÃ¾im, Sorunlar, ÃÃ¶zÃ¼mler, TMMOB Ziraat MÃ¼hendisleri OdasÃ½ YayÃ½nÃ½. Higgins, G.M., KassaÃ½n. A.H., Naikcn, L., ve Pischer, G., ve Shah, M.M., (1982), Potential Population supporting Capacities of Lands in :he Devetoping World, Technical Report of Project Int. 75-P Ã½ 3, Romc. IBRD, (1995), World Development Report I 995, Oxford. lBSRAM (1991), "Evaluation For Sustainablc Lan d managcÃ½ncnt in the Dcvcloping World", Proceeding No. 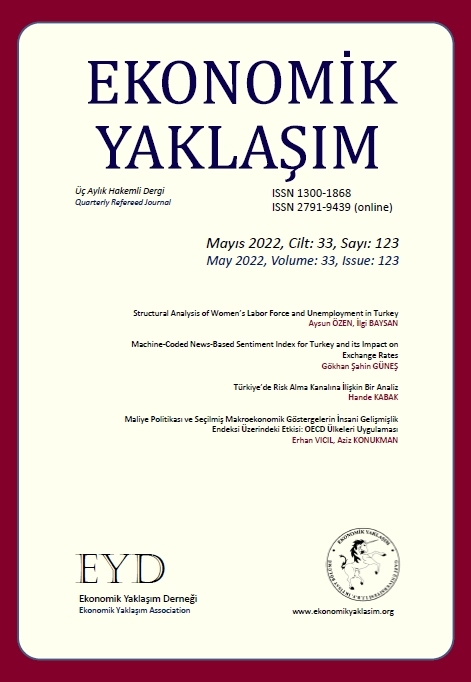 I 2, Volumcs I-III, Proceedings of tlÃ½e International WorkslÃ½op on Evaluation for Sustainable L(llld MwÃ½agement in the Devetoping World iÃ§inde.Ministry of Agriculture, Forestry and Rural Affairs, ( 1986), Agriculture in Turkey, Some K ey Informationfor Froeign lnvestors, Ankara. OECD (1994), Ãlke Tanm PolitikalarÃ½ ve Ticareti", OECD Ãlke Raporu: TÃ¼rkiye, Ankara. RappenhÃ¶ner, D., (der. ), (1989), "Resource Conservation and Desertification Control in the Near East". Gennan Foundationfor fillernatonal Development iÃ§inde, Germany. TÃ¼rkiye Ãevre SorunlarÃ½ VakfÃ½, (1991), TÃ¼rkiye 'nin Ãevre Sorunla n. 1991, Ankara. TÃ¼rkiye Ziraat OdalarÃ½ BirliÃ°i. (1991), PlanlÃ½ DÃ¶nenu/e Rakamlarla TÃ¼rkiye Tan m SekWrii. YayÃ½n No. : 166, Ankara. Tully, D., (der. ), (1990), Lahor and Rainfed Agriculture in West Asia and NarÃ½lÃ½ Africa. Kluwer Academic Publ ishers, Bostan, London. UN, ( 1993); DemograplÃ½ic Yeaorbook, NY. UN, (1994): National Account Statistics. Main Aggregates and Detailed Tab/es: 1992. Yol I ve Il, NY. UN, (1995): Statistical Yearbook: /994, NY. VarlÃ½er, O. ( 1978), TÃ¼rkiye Tarunmda Yaptsal DeÃ°i~mÃ½e, Teknoloji ve Toprak BÃ¶lÃ¼Ã¾iimÃ¼, DPT YayÃ½nÃ½ No. : 1636, DPT, Ankara.